Sparke Helmore has welcomed Sally Weatherstone to the partnership, boosting the firm’s corporate and commercial team. The senior lawyer, who is based in Sydney, will consolidate and complement the firm’s offerings in the areas of corporate advisory, equity capital markets, M&A, and mining and resources. She brings to the firm 12 years’ experience specialising in corporate and commercial advice to listed and private companies. Weatherstone moves to the national firm from Dentons, where she was promoted to partner in 2017. 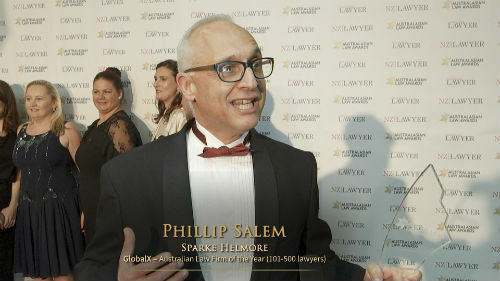 Having someone of her calibre as part of the team is a major step in enhancing the firm’s expertise and service offering, said Phillip Salem, national managing partner. “With her formidable reputation in the market—featuring as a leading legal practitioner in Chambers Asia Pacific Legal Directory from 2013 to 2017—she will strengthen an already strong team,” he said. The new partner’s experience includes public company takeovers, advising on schemes of arrangement, private equity transactions, share and asset acquisitions and disposals, Sparke Helmore said. She is also an expert in fundraising and securities law, with experience in acting on IPOs, placements, rights issues, foreign investment rules and regulations, ASX listing rules, directors’ duties, and corporate governance requirements. The appointment closely follows the firm’s recruitment of partner Jackson Inglis, who is based in the Brisbane office.